Department of Religions And Value Ed. 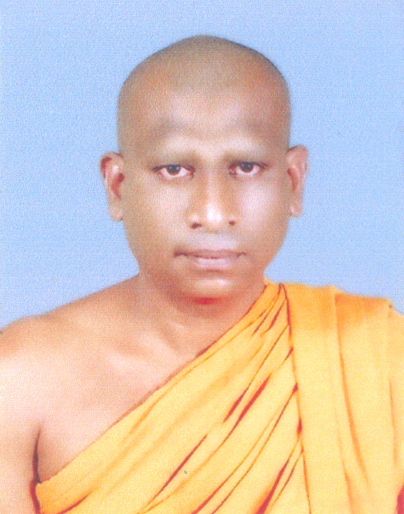 The Department of Religious and value of the National Institute of Education bears the responsibility of all the affairs connected with teaching religion in the Sri Lankan education system. Among the foremost activities assigned to this Department, inter alias, are preparation of syllabuses in religion for junior and senior secondary levels, development of teacher guides, giving assistance to write text books and guiding. In service Advisors to train relevant teachers. The activities cover a wide spectrum of subjects. In grades 6 - 11, the religions Buddhism, Hinduism, Islam, Catholicism and Christianity come under its purview whereas in grades 12 - 13 (G.C.E. Advanced Level) Buddhism, Buddhist Civilization, Hinduism, Hindu Civilization, Islam, Islam Civilization and Christianity are taken within its charge. In carrying out these activities the ideas of the respective religious communities are taken into consideration and especially the Ministries of Buddha Sasana, Hindu Religious affairs, Islamic Religious affairs and Christian Religions affairs are cingulated. Further, links are maintained with advisory level institutions relevant to respective religions. Under the Ministry of Education there are five Advisory Boards appointed by the Secretary of Education for religions. The Department of Religious regularly seeks the advice of these Boards in its activities. The tasks of the Department of Religions are not restricted to the liaisons with stakeholders like principals and in- service advisors only. Religion is a discipline required by a person right throughout his/ her life. Once got through the examinations, many other subject contents are forgotten. That is not the case with religion. It is an entity, a person needs during his/ her entire life span to make it meaningful. An individual's life is shaped by the religion of one's faith and belief with the maturity of age it turns into a pragmatic immensity of knowledge. It is expected that one's day-to-day life and conduct are ethically and morally acceptable. In this regard, the Department collaborates not only with those in the education field but also with parents and adults. Our aim is not only to enrich pupils merely with the subject knowledge. We principally focus on the production of noble people with total personalities in accordance with the value systems upheld in respective religions. This is an enormous task fulfilled only by religion, yet not entrusted to any other subject in the school curriculum. Towards this end, the Department continuously cooperated with religious leaders and educationists and entertains suggestions and views on value development on a research basis. We aim to enshrine in over 190,000 teachers and 4,300,000 pupils in nearly 10,000 schools in our country the virtues, morals and wisdom alongside their religions and act with determination to bring forth true humans who spearhead unerrantly in a world advancing in science and technology.